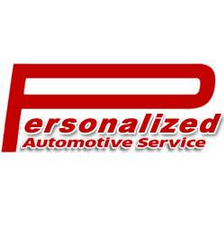 Personalized Automotive Service LLC is a full-service auto shop in Kenosha, Wisconsin. Our brand new state of the art facility and highly trained auto mechanics are prepared to handle your car repair with speed, accuracy, and competitive prices. Our transmission shop will be happy to handle your transmission repair. We handle check engine lights, preventative maintenance, oil changes, radiator repair, brake repair, fuel lines, and more. We look forward to being your car mechanic. If you are looking for honest work and competitive prices, Personalized Automotive Services is the mechanic for you. We are proud to serve the Milwaukee and Kenosha area with our centralized location. Your vehicle is important to us, and we will do our best to have your vehicle done quickly and efficiently. Your automotive repair will be done well and correctly the first time. Our new auto repair shop is looking forward to serving you and getting you back on the road as soon as possible. Call (262) 457-7185 today for information and estimates. We are proud of the fast friendly service we provide and your satisfaction is very important to us. We look forward to serving you soon.